Antimicrobial is used to describe substances which demonstrate the ability to reduce the presence of microbes, such as bacteria and mould. An antimicrobial is effective against a wide spectrum of microbes: this includes bacteria, mould, fungi and even viruses. 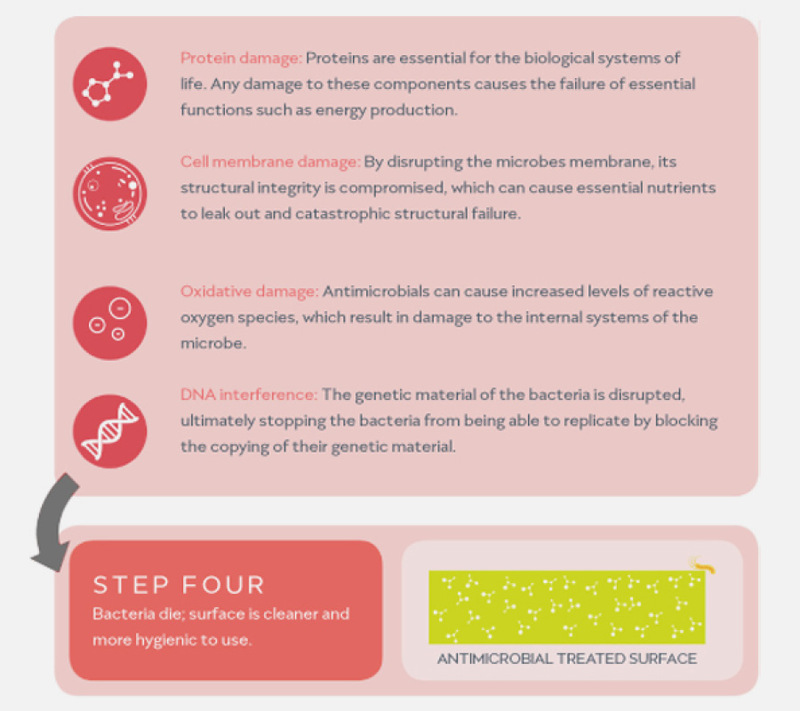 An antibacterial, on the other hand, is only effective against bacteria. There are four main types of antimicrobial additive, based on Silver-Ion, Copper, Zinc and Organic technologies. Our range of antimicrobial products use Silver-Ion antimicrobial additives which are suitable for deployment in a broad range of materials and applications, including paints, coatings, textiles, polymers and other material types. BioCote® technology works 24-hours a day, for the expected lifetime of the product, to provide integral protection against microbes. Laboratory tests and real-life studies show that microbe levels on BioCote® protected products are significantly reduced. In fact, 80% of microbes are eradicated within 15 minutes and up to 99.99% are gone within 2 hours. 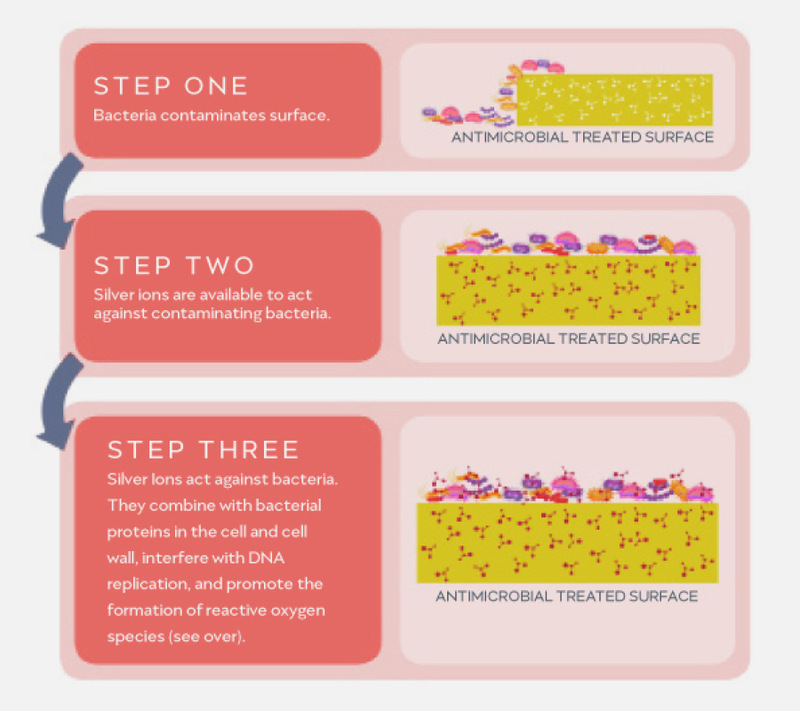 Silver-Ion technology creates surfaces upon which 99.9% of microbes cannot survive. 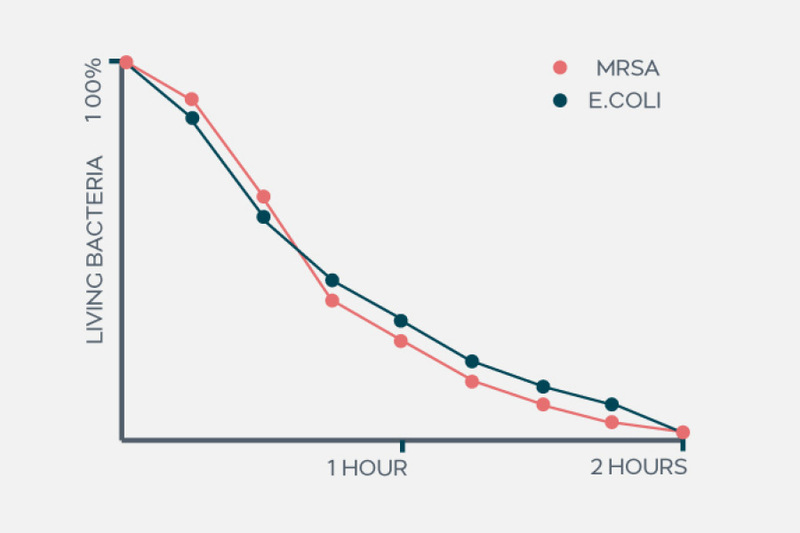 Laboratory and real-life testing has proved that the technology reduces microbes by 80% in just 15 minutes and 99.9% in just two hours. 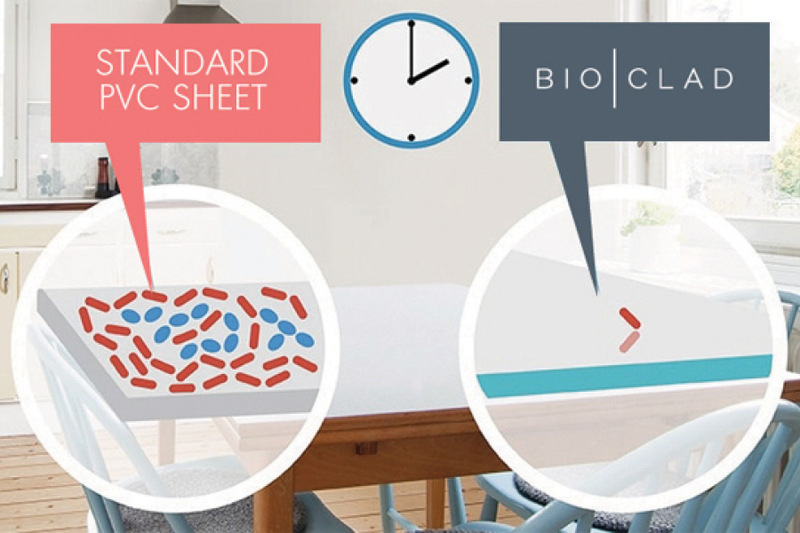 Working 24 hours, BioCote® technology effectively fights a wide variety of microbes. BioCote® has been proven effective against MRSA, E.Coli and even at deactivating the Influenza (H1N1) virus.